You’ve adopted an abandoned kitten on Christmas Eve, but little did you know that such an innocent creature would bring with it a big adventure! You’re woken up one night by your furry new pet and discover that he can walk and talk! He needs help and you’re his only hope. 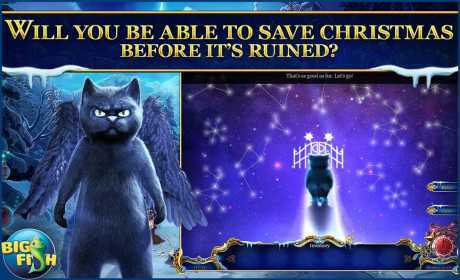 Play inventive puzzles and tricky mini-games to stop the mischievous cat from creating a festive disaster. • WILL YOU BE ABLE TO SAVE CHRISTMAS BEFORE IT’S RUINED? 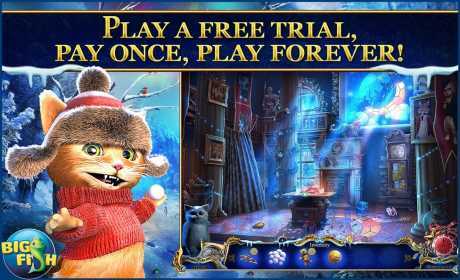 Search through festive hidden object scenes and find the tools you need to protect the beloved holiday! Continue your adventure in the bonus game and enjoy Collector’s Edition exclusives including a strategy guide and collectible morphing objects!